The GIA Smart Meter Defender – Battling the Radiation Epidemic created by Smart Meters! Electromagnetic radiation (EMR) emitted by Smart Meters – many of them installed by utility companies without the consent of the home owner, tenant and/or business owner – have been linked to various stress-induced health issues. Most of us are now subjected to this overbearing external stressor every single day, even when we sleep! Did you know? The World Health Organization (WHO) has classified radio frequency (RF) as a carcinogen (same as DDT and lead)! Military studies have shown that pulsed radiation can cause serious health problems, including tinnitus, memory loss and seizures. Countless studies have linked biological effects to RF radiation exposure, including increased cancer risk, damage to the nervous system, adverse reproductive effects, DNA damage, and more. Also, the American Academy of Environmental Medicine (AAEM) has contacted the California Public Utility Commission (CPUC), demanding a halt to the installation of wireless Smart Meters! There are more than 65 million Smart Meters in North America alone! And health experts are ringing the alarm bells because of the health effects triggered by Smart Meter radiation. That’s why we decided to do something about it. Which is precisely why GIA Wellness developed the Smart Meter Defender – or as many fans already call it: “Radiation Protection Perfected”! Type A: This is the most common type of Smart Meter found in North America. It has an exposed metal ring at its base and does not have a lock. Type B: This type of Smart Meter is similar to Type-A, but has a lock attached to its base. Type C: The metal ring at the base of Smart Meter Type-C is covered by the lid of the utility box. For images and specific line drawings of how the GIA Smart Meter Defender is applied to each Smart Meter Type, download the Installation Instructions here. EFFECTIVE: Energy Resonance Technology (ERT) charged, radiation-shielding mesh material blocks 98%-99% of radiation emitted by your Smart Meter, while the remaining 1-2% is neutralized by GIA’s patented MRET Technology. UNIVERSAL FIT: 7.125″ diameter, rounded design fits virtually any Smart Meter type. EXTRA PROTECTION: Mount the (optional) mesh sheet on the indoor wall to defend against Smart Meter radiation both outside and inside your home. How do I apply the GIA Smart Meter Defender? The installation of the Smart Meter Defender depends on the type of Smart Meter you have. The majority of Smart Meters are designed as one of three key types. The Smart Meter Defender works on all three of them. Step-by-step installation instructions, including explanatory drawings, are enclosed with each Smart Meter Defender Package. Can I move my GIA Smart Meter Defender from one Smart Meter to another? Provided both Smart Meters are similar in dimension and type, yes, you may move the GIA Smart Meter Defender from one Smart Meter to another. What is the lifespan of my GIA Smart Meter Defender? The outer radiation shielding mesh material last for as long as the elements (wind, sun, snow, etc.) will allow it to last. The ERT-activation of the Smart Meter Defender is permanent. 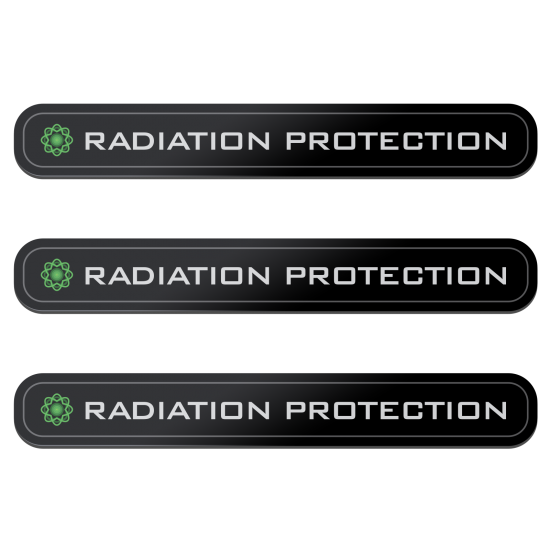 The three “Radiation Protection” decals (containing the patented/proprietary GIAplex Technology), which are incorporated in the Smart Meter Defender, have a lifespan of two years, after which they need to be replaced. You can order the replacement decals here! Will the Smart Meter Defender affect the signal strength of my Smart Meter (for meter readings by utility companies)? 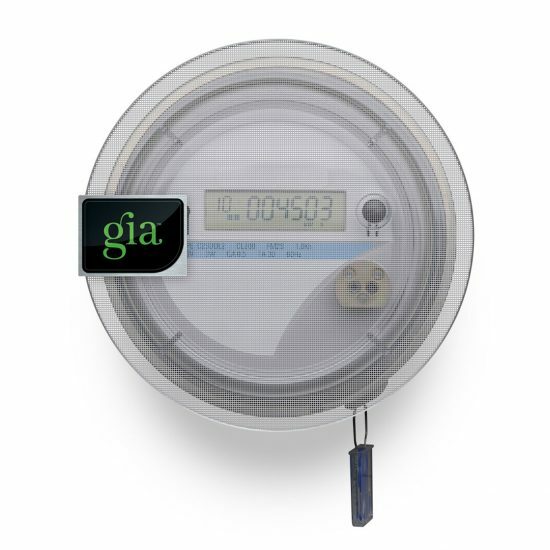 The GIA Smart Meter Defender has been designed to neutralize the effects of your exposure to EMR, while leaving just enough of a signal for proper meter readings. Is the Smart Meter Defender water and heat resistant? Generally speaking, the Smart Meter Defender is water and heat resistant. However, it’s safe to say that if your Smart Meter Defender is submerged in water for an extended period of time or were to inexplicably catch fire, you’ll need to replace it. What is the purpose of the optional stainless steel mesh sheet that I can additionally purchase with the Smart Meter Defender? While the vast majority of the radiation emitted by Smart Meters protrudes forward (away from the base of the Smart Meter), there may be some small amount of residual radiation emanated on the opposite side of the Smart Meter base. The optional, ERT-charged, stainless steel mesh sheet allows you properly cover and protect the wall area on the opposite side of the wall to which the Smart Meter is mounted. Step-by-step installation instructions for the optional mesh sheet, including explanatory drawings, are enclosed with each Smart Meter Defender Package. For installation instructions for each Smart Meter Type, please contact VIP Consultant Support. The most profound moment was when (my friend) went outside to put the GIA Smart Meter Defender on. She looked at me and said “Wow, I feel so grounded!” What we discovered is that the GIA Smart Meter Defender was the key piece – it seemed to wrap the house in a calming field – it was as if all the wiring had quieted down.